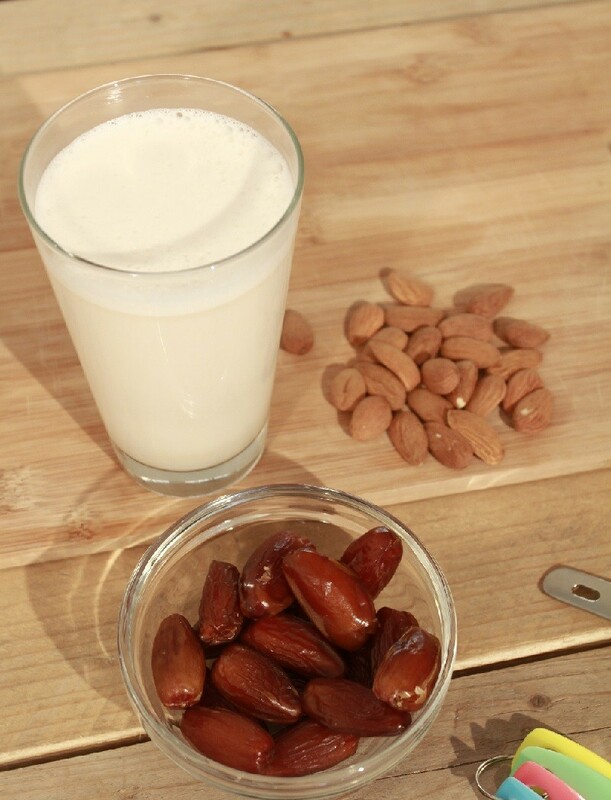 Watch the video below for how to make your own delicious homemade almond milk! This lovely raw food recipe makes a perfect milk substitute for those who are lactose intolerant and is an ideal ingredient in raw smoothies. Why should I make Almond Milk? Almond Milk is currently very popular in the supermarkets. Demand means mass production, which means artificial additives can be added to satisfy mass consumer demands. Making your own can save you money as the cost per litre is cheaper to make yourself compared to a standard carton in the supermarkets. Be safe in your knowledge that nothing has been added to your Almond Milk with 100% Homemade Almond Milk. 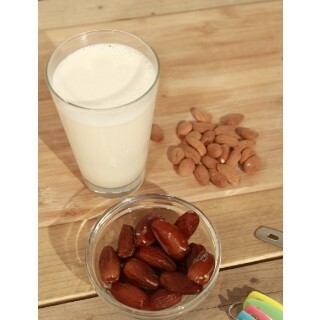 Almond Milk is a great dairy alternative and suitable for raw and vegan diets and contains no lactose. Almond Milk is lower in fat and calories than even reduced fat cow's milk. First pre- soak the almonds in water for a minimum of six hours and ideally overnight. Next drain the almonds and pop them into your blender, along with 4 cups of water, the dates and vanilla powder. Blitz until smooth. Finally strain your almond milk using a nut milk bag and chill before serving.